As Christmas is nearing closer and closer, time is starting to run out to get your blogs and websites ready for the festive season. It goes without saying that this is one of the busiest times of the year and by optimising your blog and website now, you can reap the rewards in a month’s time. This goes for everyone whether you are offering a service, a product or even working as an affiliate marketer. The key is to be prepared. Let’s take a look at what you can do. 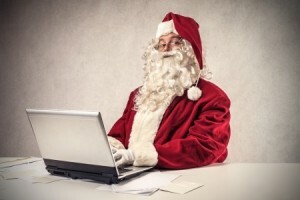 Now is the time to start planning and scheduling articles to post over the festive period. You may think you can still write one a day as the time nears, but trust me, even small internet businesses will find they are run off their feet in December. Now is also the time to make sure that your blog or website is running as smoothly as possible. If you have done any external marketing, make sure that all the links are up to date and working correctly. Traffic is key during the run up to Christmas. Every well run website and blog that offers a product or a service will be doing their utmost to get traffic between now and Christmas so this makes standing out incredibly important. The best way to do this is by offering a promotion. You don’t necessarily have to cut your rates but you should offer something that will encourage buyers to buy from you instead of your competitors. Free postage and a free gift wrapping service are two great ideas. As well as promotions you need to up your advertising game. Look into a paid promotion if you can afford it – even it is for only a month. Social media can also be very beneficial for you here especially if you can encourage people to share your message. Check that your site’s links are all working properly and that your content is fully optimised. You might also want to check that it is easy for a customer to check out through your online store if you have one – if it’s too difficult or they can’t find the check out button, they will spend their money with a competitor instead. It goes without saying that you will experience an increase in traffic during the Christmas period; but don’t forget about the New Year. By creating a newsletter and encouraging your customers to sign up you can continue to offer promotions into the New Year. This is also a great way to let your customers know about any new services or products that you may have available from January onwards, and research has shown that newsletters are a great way to keep customers who have already bought a product or service from your company in the past. With just over six weeks left, it really now is time to turn it up a gear and get your blogs and websites ready for the festive period.